Women are simply marvellous at transforming non-cosmetic products into cosmetics or care products additives. It is worth knowing alternative applications of day-to-day care products because this kind of knowledge may save our necks many times. One of such magic products is a baby powder. How to use it in unconventional manner? Women’s experience with baby powder has proven that the cosmetic can be used in many other ways than just for treating sensitive skin of new-borns. Learn a few, probably new to you, applications of this as old as the hills product. How does a regular antiperspirant work? Thanks to organic compounds content, this kind of cosmetic is able to block sweat production. Similar manner of working belongs to baby powder yet it absorbs the excreted perspiration providing freshness and eliminating at the same time problem of wet stains under armpits. With this in mind, baby powder can be successfully employed as an ecological antiperspirant for freshening up. Baby powder is a way cheaper substitute for a dry shampoo, which are good at restoring good look of hair by removing unwanted sebum and moisture out of strands. It is also believed that baby powder works even better than the hairspray-looking product available at chemist’s. 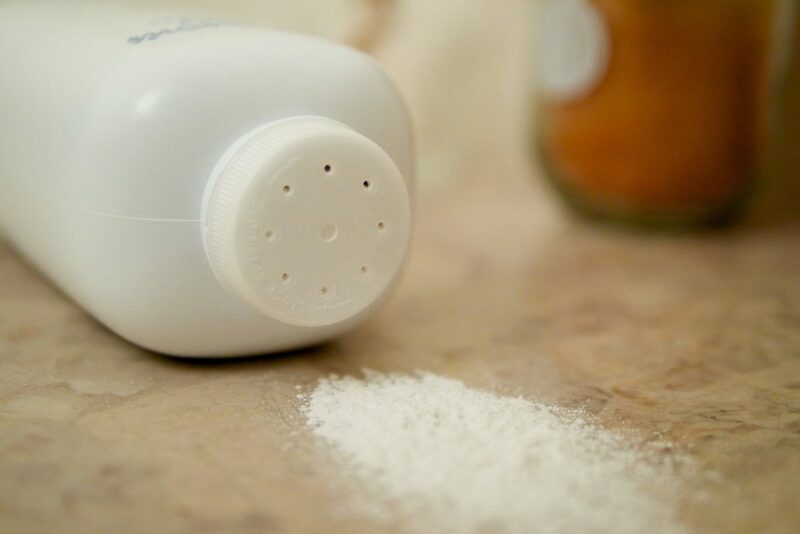 Due to its properties, baby powder works fine as an alternative for makeup fixing powder. Loose mattifying powders’ tasks is to reduce sweat and shine out of face skin. However, it fairly easy to obtain unwanted ‘chalk mask’ effect once amount of baby powder applied is too excessive. What makes eye shadows gather in crease of the eye? In short, ruined eye makeup is caused by sebum that mixes with the colour cosmetic. As a consequence, eye shadow changes its form, getting more slickly, which in turn causes its sliding and cumulating in crease of the eye. Application of baby powder as eye shadow primer might successfully improve the durability of eye makeup. Cosmetic market is full of eyelash products the aim of which is to bold the little hair of our eyelids. Unfortunately, sometimes the effect obtained is far from the one we expected to be produced. Luckily, if we want to make our eyelashes denser, we can use baby powder. It has to be applied with the aid of a brush, between the first and the second coat of a mascara.